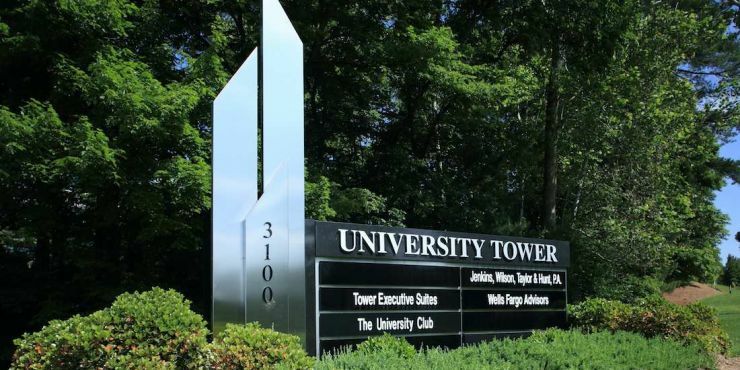 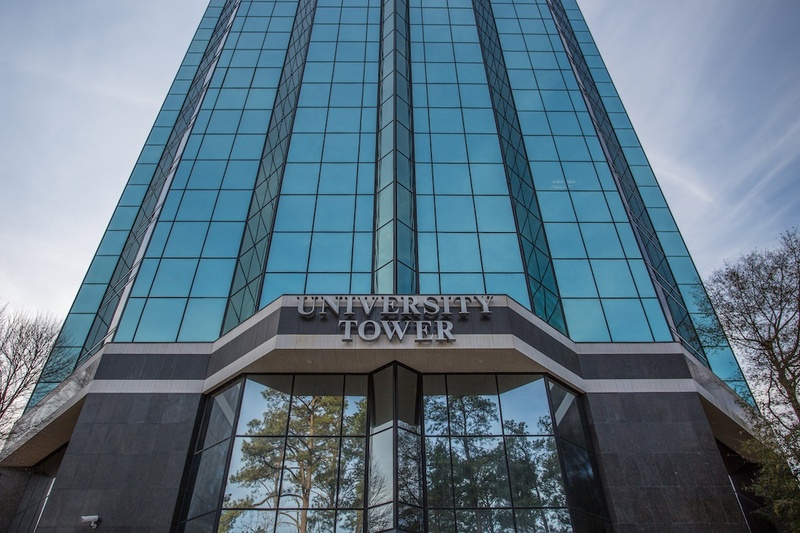 University Tower is a 17-story Durham landmark building, offering unique Class A office space with stunning views of Durham and Chapel Hill. 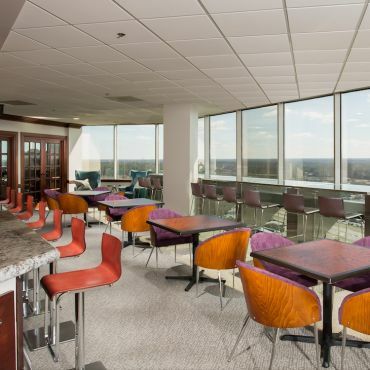 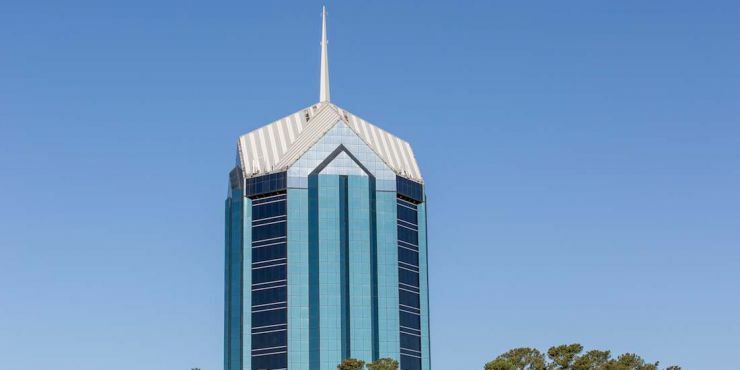 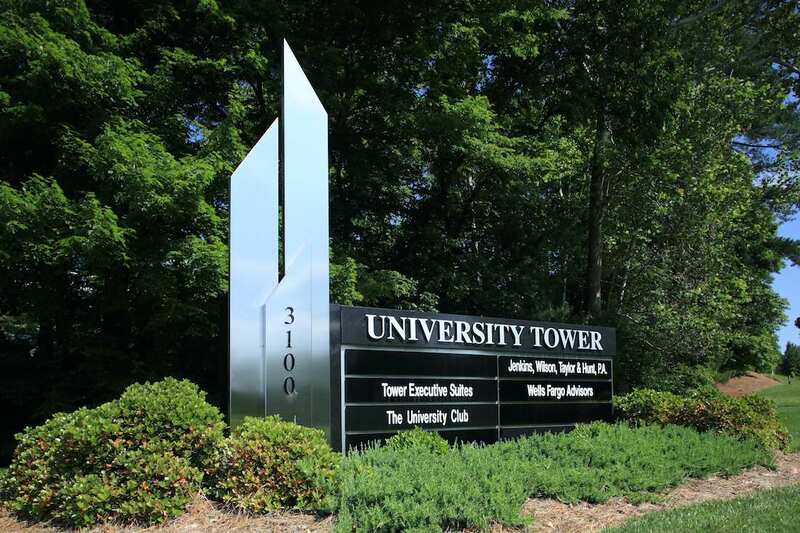 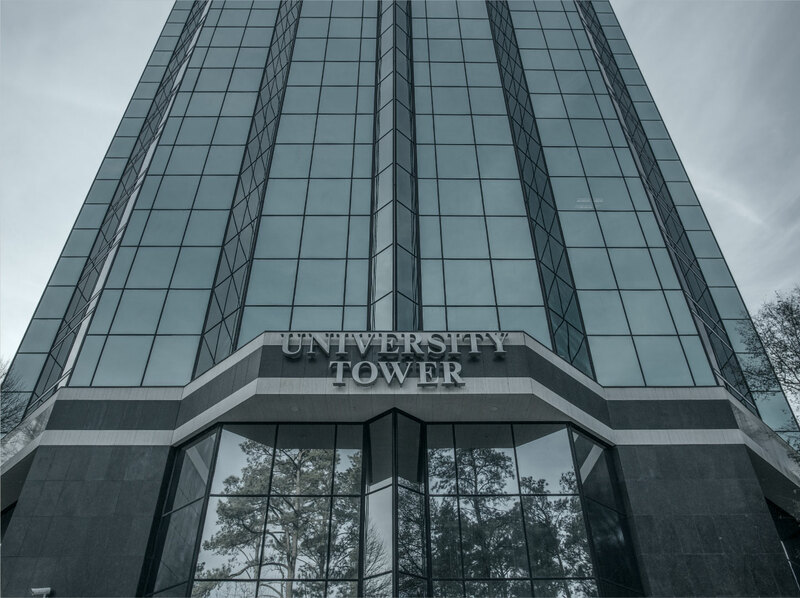 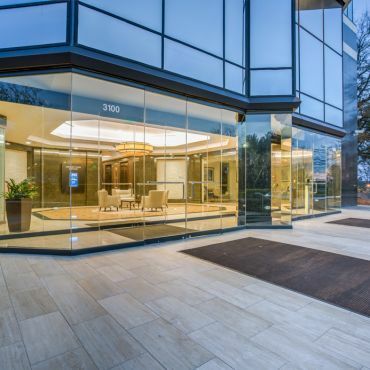 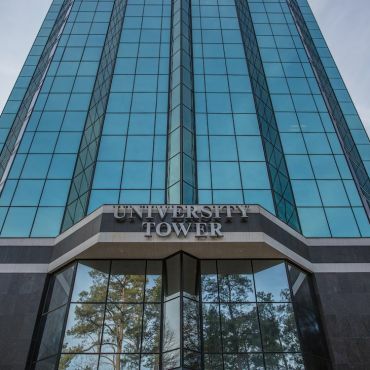 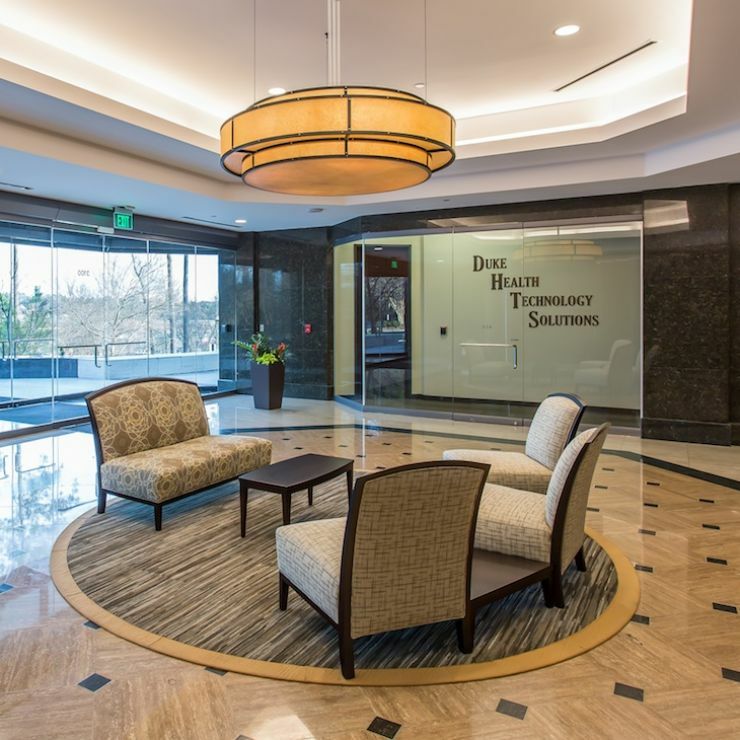 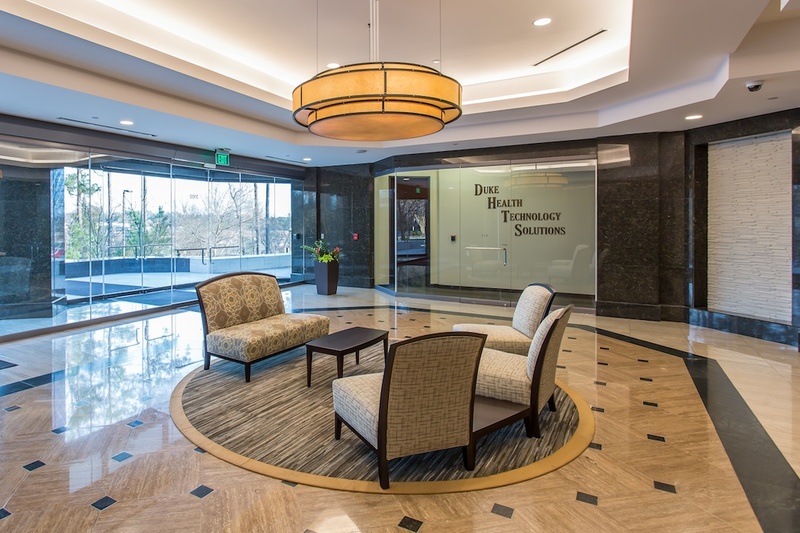 Positioned equal distance between downtown Durham and downtown Chapel Hill, University Tower offers professionals easy access to both “city centers,” I-40, Research Triangle Park, and RDU Airport. 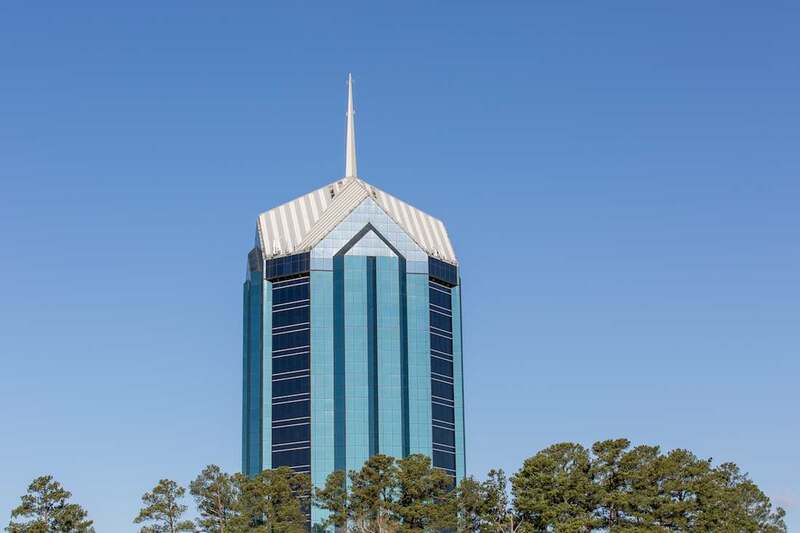 Visible from 3 miles away on approach from I-40, the sparkling emerald colored Tower is seen rising above the pine trees with its tall spire. 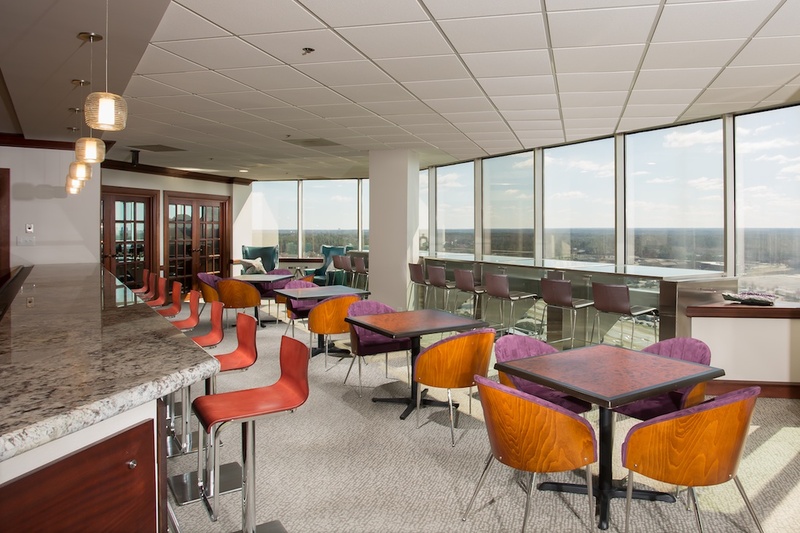 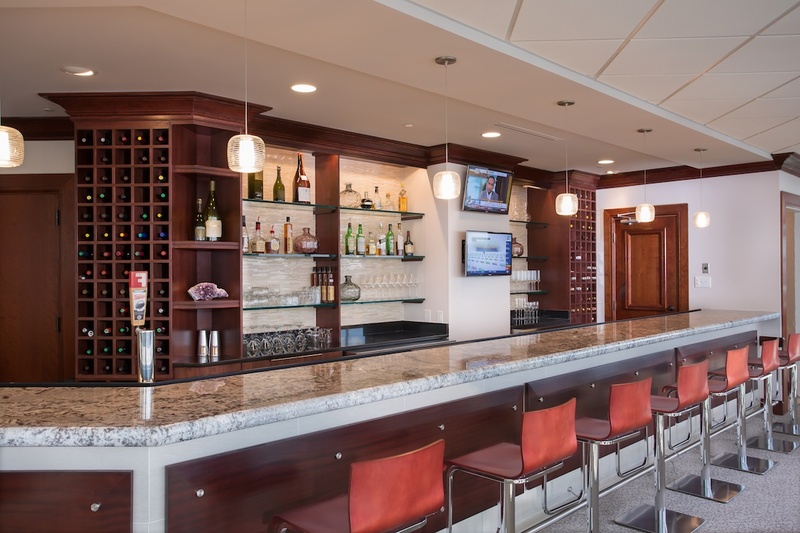 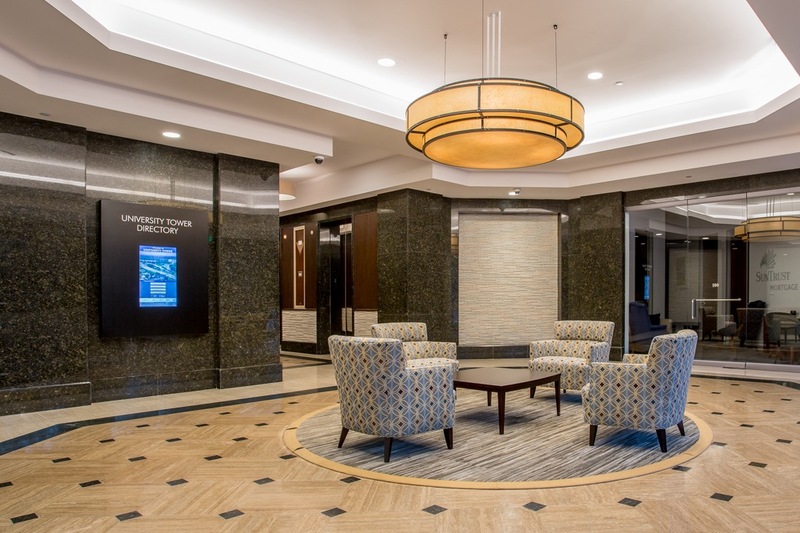 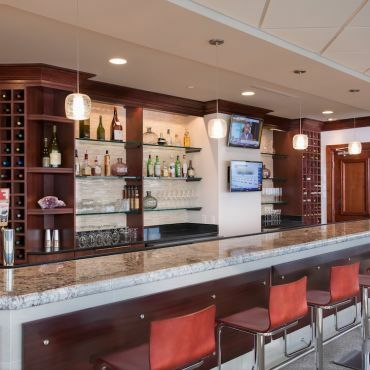 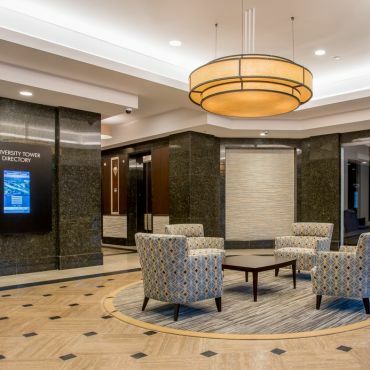 Amenities include the exclusive penthouse floor University Club Restaurant, bar, and private dining/meeting rooms, on site professional property management team, (4) high speed elevators, and new Trane Building Management System. 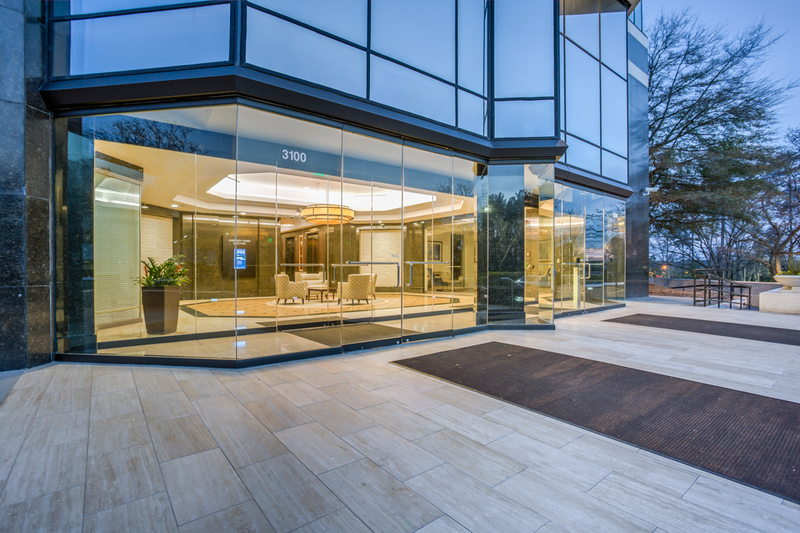 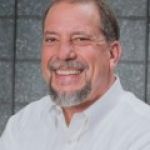 Floors may be subdivided as needed to accommodate any size business.